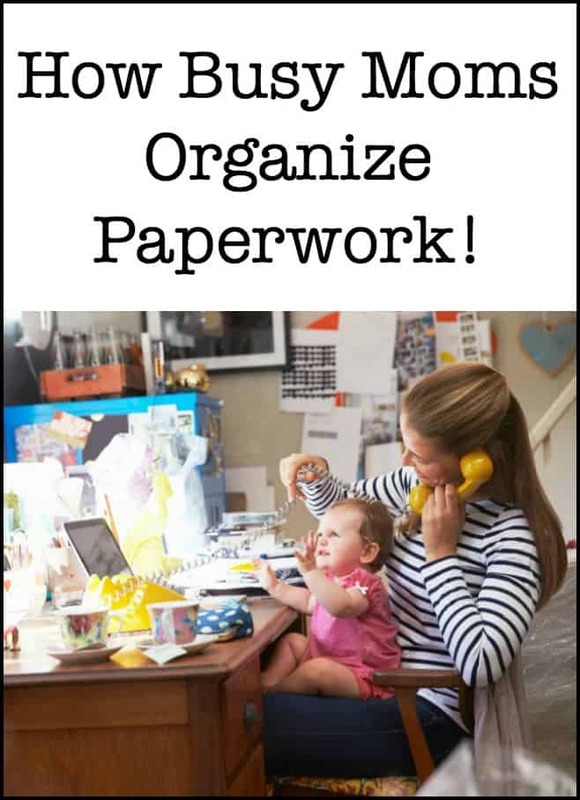 How Busy Moms Organize Paperwork! One of the toughest areas to get organized is managing the constant deluge of paperwork that comes our way! The bills, junk mail, school fliers, forms that need to be completed- the stream is almost endless. Too often all of that paperwork ends up in piles all over the kitchen counter, the dining room table and any other available surface, because we don’t make the time to sort through it, or just aren’t sure what to keep around and what to recycle or toss in the trash. 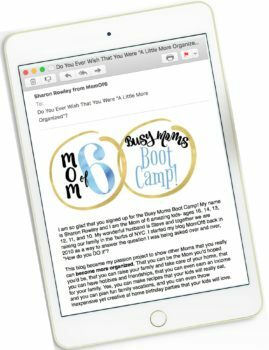 Here's how busy Moms organize paperwork! Before we can start sorting through the piles of paper- we need to have a system of containers in place- to store what we need, where we will need to access it. 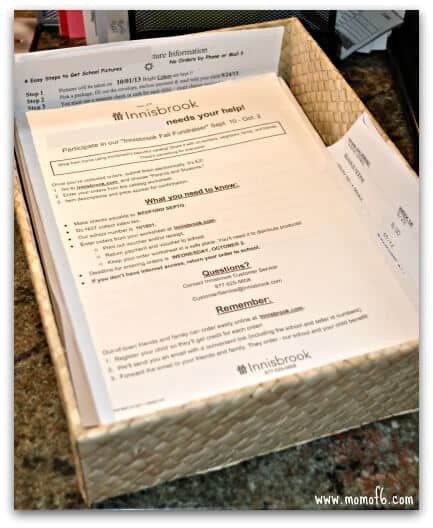 There needs to be one temporary holding place for all of the incoming paperwork- a place to dump the mail when you walk into the house, a place for kids to put their school fliers and other paperwork that they want for you to look at- so it helps to put a basket on the counter to store it all. That way you know you have ONE place to go to- and do all of your sorting. 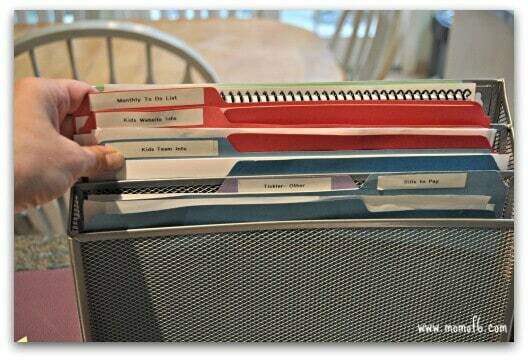 You can use a simple basket- or a great 3-tier document tray This is an affiliate link: MomOf6 earns a commission if you purchase, at no additional cost to you. so you can separate your incoming paperwork by child! Perhaps somewhere in your home you have a filing cabinet where you keep all of your “important papers”- your tax returns, pay stubs, insurance info, etc. This is NOT that place! What you need is a set of quick access folders to file the papers that you will need to use on a regular basis, and these folders should “live” where you are going to use them the most often. “Tickler” Folder– any flyer or reminder that I need to keep around, I stick in here. I go through this folder weekly. I review items from my wall command center every single day- taking down and recycling what is no longer needed and adding new items as necessary. 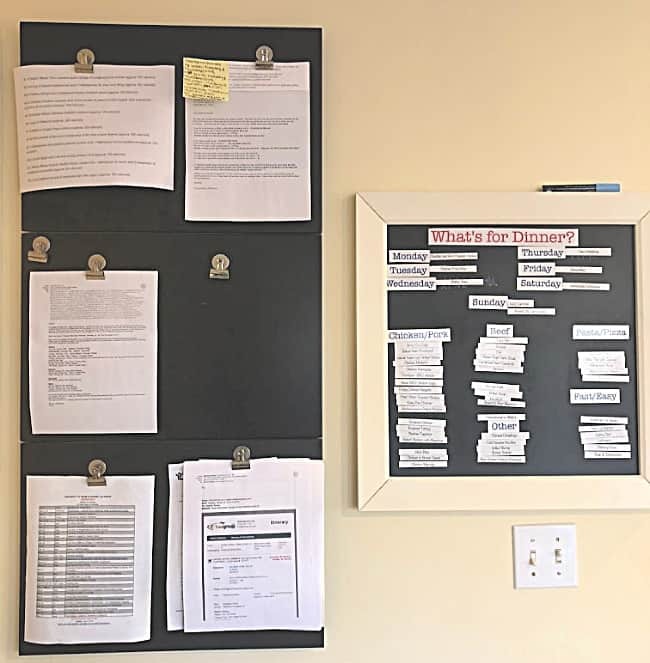 If you don't have a command center in your home- you can check out this post to see my top picks for best family command centers– and the items I believe are must-haves! Do it– if its something I can respond to quickly, I will do it right away. List It– if it is going to take me more time to complete, I will add the item to my to-do list. I will then file the paperwork in the correct quick access folder (usually the “tickler file”). File It– a reminder for a school party goes into the “tickler file”. If it's a party invite for the kids- I will RSVP and put the invite on my command center board in date order. A bill goes right into the “bills to pay” folder. Recycle /Trash It– most of what I receive can be quickly read and then recycled! Aaahhhh….. I LOVE clearing through that inbox! What if You Already Have Paperwork Piled Up Throughout the House? Gather all of that paperwork into one place- so you can see everything that you need to deal with. Then set a timer and spend 20 minutes a day on working through the piles you have, making these decisions, and clearing out the piles. You can DO this! Are you planning on decluttering and organizing your home? These are my favorite storage bins This is an affiliate link: MomOf6 earns a commission if you purchase, at no additional cost to you. for organizing all of the areas in your home! 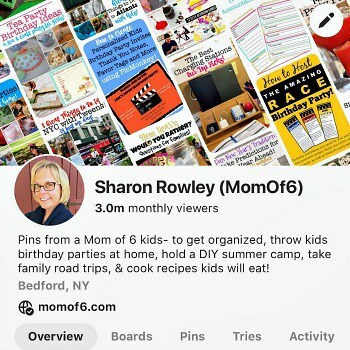 You can see all of my recommendations for buys Moms over on my Amazon Influencer page This is an affiliate link: MomOf6 earns a commission if you purchase, at no additional cost to you. ! 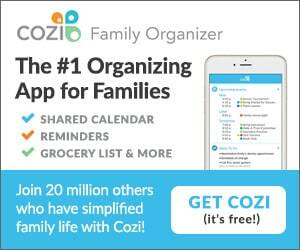 Are you trying to become more organized? These posts can help! 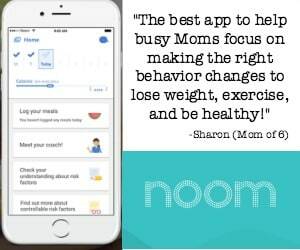 Best Planners for Moms – a family calendar can help you organize your schedule and your time- but a planner can help to make sure that you are giving your life purpose! How are you doing fighting the paperwork battle at home? Please leave a comment and share! 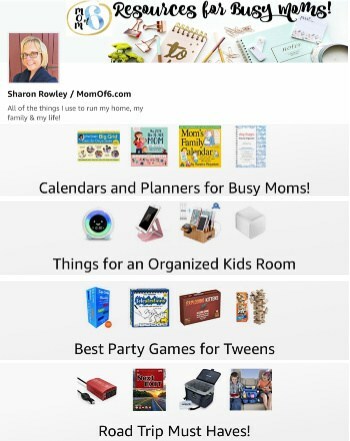 « 20 Ideas to Get Your Kids Room Organized! I love all these tricks and tips you put up!! I will be using this paperwork organizing system into play really soon!! thank you for the great website. 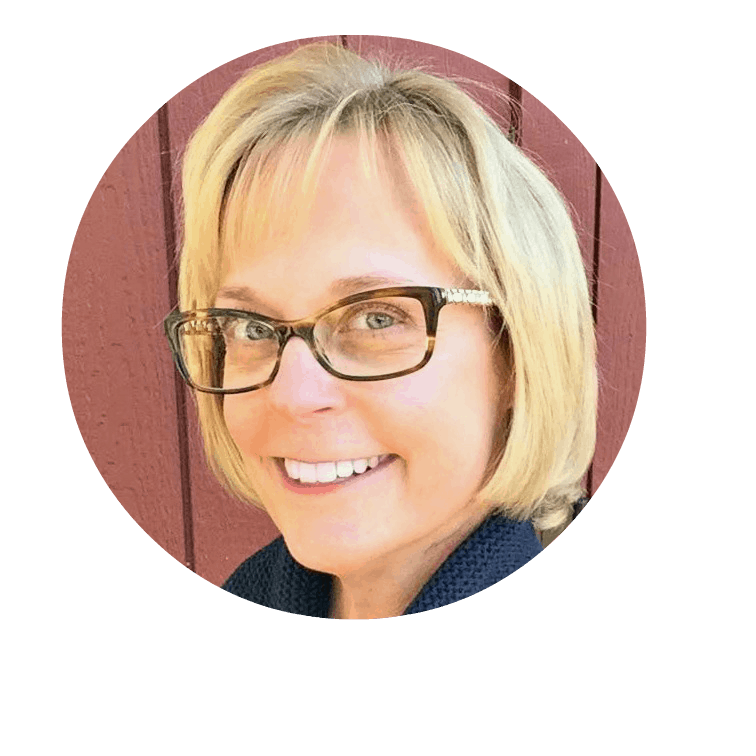 Hi Sharon, Just wanted to let you know that I implemented this paper management system several months ago and it has been a life saver! You are amazing! Thanks for all the great tips and tricks! i was wondering where you got the chalkboard magnetic wall system? is it all one piece or panels? love reading all of your tips!!! Hi Londi! I responded on my facebook page too…. those boards were from Pottery Barn about 5 years ago. They are three separate panels, but attach to one another in the back- so you can hang them from just the top panel.